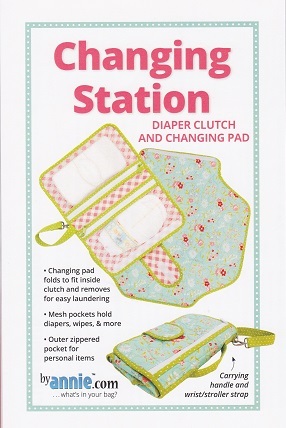 This compact kit is perfect for changing baby on the go. The attractive wallet-style clutch unfolds into a large, padded changing pad with plenty of pockets to store all the essentials. The pad removes for easy laundering or to allow the clutch to be used separately. An outer zippered pocket holds personal items and a handy flap closes the folded clutch keeping everything contained.